WE RIDE THAT OUR CHILDREN MAY WALK! Our Mission is to bring smiles and happiness to every child we meet. We accomplish this by performing at local parades in the Spring, Summer, and Fall. 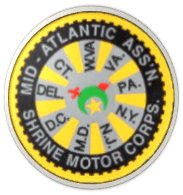 The Mini Motors Unit was chartered in 1983 and has been an active parade unit throughout Washington DC, Maryland, and Virginia. 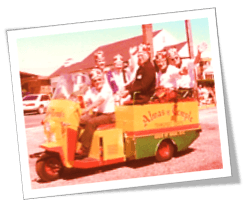 With over thirty years of proud service to our beloved Almas Temple, we have enjoyed motorized squads of Go-Karts, Three-Wheelers, and Harley Davidsons. Each of our teams have won numerous awards and trophies for performance, drill, and speed. The Mini Motors Unit would like to extend to you an invitation to join our fun and exciting Unit. 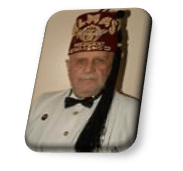 Our Unit has great camaraderie and we socialize regularly in and outside of Almas Temple. 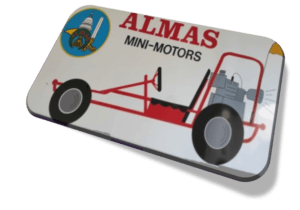 Membership in the Mini Motors is available to any Nobel of Almas Temple in good standing. 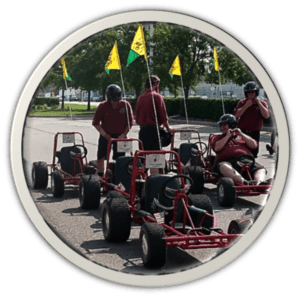 The Unit members currently drive Go-Karts, but it is not necessary that you have previous Go-Kart driving experience. 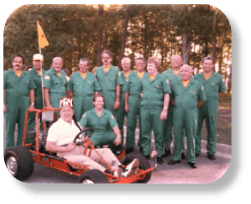 New members can expect to drive in parades and spend time maintaining the Go-Karts. We realize not everyone is mechanically gifted, but we will help all those who are so incline to learn. Annual dues are $20.00 a calendar year. The Unit meets the third Wednesday of the month at 7:00pm for a business meeting and fellowship. 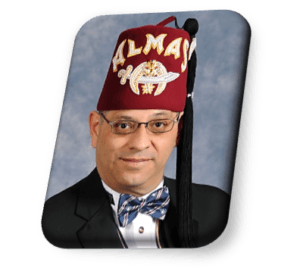 Come to any unit meeting on the third Wednesday of the month at 7:00pm, or contact our Unit Director, Eddie Dixon by e-mail at: minimotors@almasshriners.org. 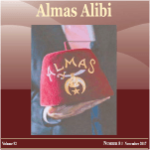 The success of the Almas Temple depends on the participation of Nobles like you to succeed in our philanthropic mission. 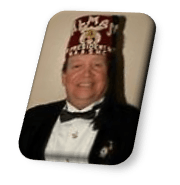 Consider membership in the Mini Motors Unit and we’ll show you a fun time while serving our great temple as well as promoting Masonry in general. As with anything in life, membership and class squads have fluctuated. We would like to revive the Harley Davidsons squad within our unit. If you love riding your bike, making children smile, and competing in parades, please join us and help us revive this wonderful part of our unit.